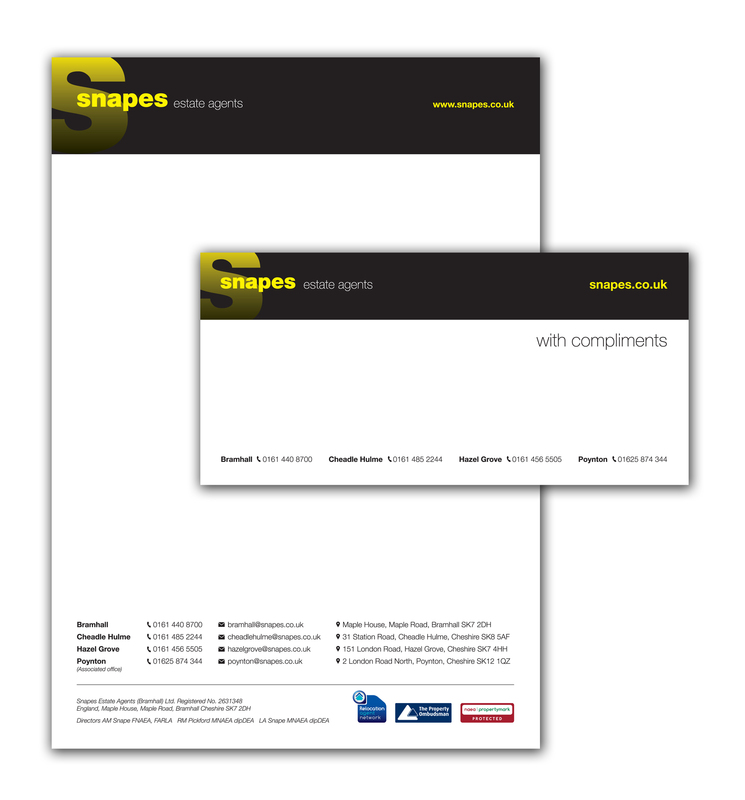 I saw on Twitter Snapes Estate Agents were looking for a printers to print their newly designed Letterheads and Compliment Slips for their head office in Bramhall. After contacting them and providing them with quotes I was thrilled when they accepted and started to work with the Stockport based estate agents. From this initial project, this has also led to working with their other branches in Poynton and Woodford.